Public health officials say cities should have a health-oriented drug policy instead of a crime-driven one. Shaun Hopkins, manager of Toronto Public Health's needle exchange program is photographed with a Naloxone overdose kit. MONTREAL — The director of Montreal's public health department is welcoming a recent report by Toronto's board of health pushing the federal government to decriminalize all drugs. Mylene Drouin says she's in favour of the report, which calls for a health-oriented drug policy instead of a crime-driven one. Drouin says in a statement that decriminalization will certainly be on the agenda at provincial and national health meetings as it is one of the measures being considered as part of a response to an unprecedented problem in many Canadian cities. That prompted Toronto's health board urging a federal task force to explore "options for the legal regulation of all drugs in Canada, based on a public health approach." Health Canada has said the government is not currently looking at decriminalizing or legalizing all drugs. Leah Hill, a behavioral health fellow with the Baltimore City Health Department, displays a sample of Narcan nasal spray in Baltimore. The overdose-reversal drug is a critical tool to easing the opioid epidemic. 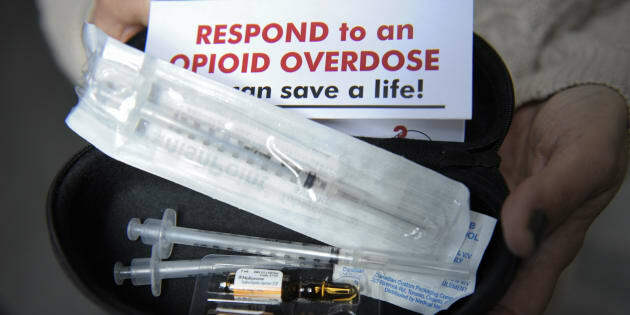 The overdose situation is lower in Montreal, but the local health authority says that is because of several initiatives put in place in recent years, including access to naloxone kits and an increase in the number of supervised injection sites. The Montreal health authority says documented efforts to decriminalize drugs for personal use, including those in Portugal, demonstrate a marked reduction in stigma and HIV infection as well as in the number of court cases. It also contends the efforts increase levels of social reinsertion. Quebec announced this week it is investing $35 million annually on prevention and treatment of addictive behaviour — with two-thirds of that amount dedicated to preventing opioid addiction.